You wake up to the first beams of strong sunlight filtering through your cloudy vision. Your limited sight has made it too difficult to safely stoke the fire, so you ask your daughter's help cooking breakfast. You are nervous but jittery with excitement. On this day, you embark on the journey to Hosanna Hospital. This is the day when you will get your sight back. This will be the reality for a thousand patients during the 2018 Cataract Campaign hosted by WEEMA and Himalayan Cataract Project. 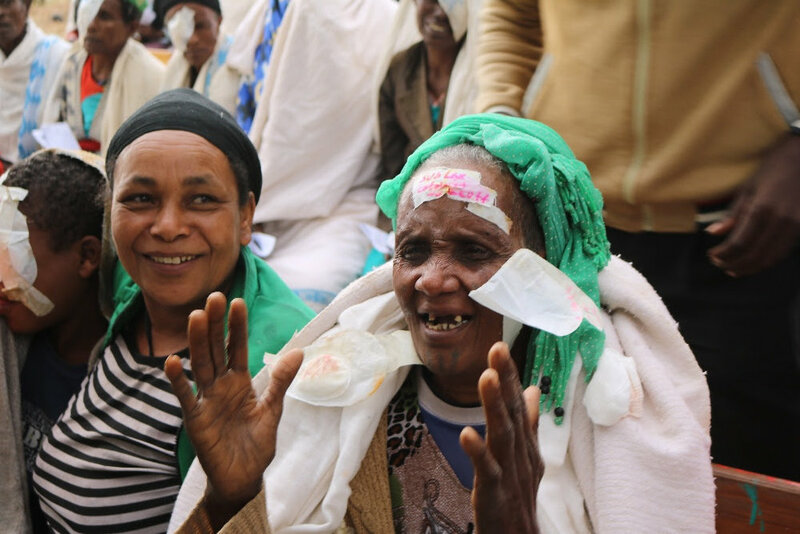 On April 19 through the 24th, individuals will flood into Hosanna Hospital to receive sight-restoring surgery. Last year's campaign served 700 patients and in 2018 we are raising the bar to perform surgeries for 1,000 patients. If you're traveling during this time and are interested in attending the campaign, email liz@weema.org. Older PostLesley University writes children's books for WEEMA!